If you like people, have a passion for scuba diving and want an extraordinary life – become a PADI Professional. PADI Professionals are the most sought-after dive professionals around the world because they’ve completed the program that sets the standard for training dive professionals. You earn a PADI Professional rating through hard work and commitment, but you’re rewarded with a job that lets you share incredible underwater adventures with others – transforming their lives for the better and enriching yours. 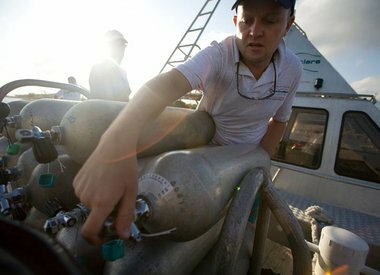 Force-E offers the following professional courses: Divemaster, EFR Instructor, Assistant Instructor and Instructor.